Scholaro Inc (formerly Foreign Credits) is a U.S. based company that provides services in the areas of international verification, credential evaluation, and translation. We are an endorsed member of the Association of International Credential Evaluators (AICE), which supports and consults the admission guidelines and placement recommendations approved by EDGE and the International Evaluation Standards Council (formerly the National Council on the Evaluation of Foreign Educational Credentials). We are also a member of the American Translators Association (ATA). Our staff will always make sure that you get the best service available whether you are applying for a visa with USCIS or are an institutional client requiring verification or evaluation for thousands of applicants. Our online education database is a valuable resource for hundreds of universities across the US, and our international GPA calculator is used by thousands of students and educators across the globe. 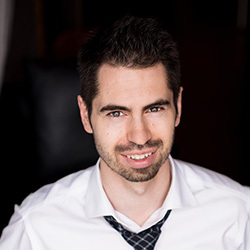 Aleks Morawski is the Director of Evaluation Services at Scholaro Inc. He holds a BA degree from Marquette University and an MA degree from San Diego State University. 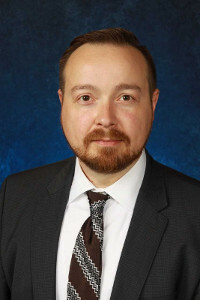 His professional experience includes credential evaluation at private agencies, international undergraduate and graduate admissions and recruitment at major US universities, and training and consulting on various topics in international education. Aleks served on NAFSA leadership and Trainer Corps since 2009. He is also one of the co-authors of NAFSA's Managing a Successful International Admissions Office, and is the chairman of scholarship and publications for AICE, the Association of International Credential Evaluators. He is a regular presenter at local, national, and international professional conferences. Beyond credential evaluation, Aleks enjoys mentoring new professionals in international education and advising academic organizations in the United States and around the world. Before founding Scholaro, Alex Donin was a senior analyst at Northwestern University’s Kellogg School of Management, one of the top three graduate business schools in the US. Building on his experience with designing online solutions for student admissions, international programming, and faculty recruiting, Alex created a database with information on over 3,500 international academic credentials and started Scholaro Inc. to provide easy solutions to institutions and individuals with educational credentials from outside of the United States. Alex has an MS degree in Business Information Technology from DePaul University and experience with online admissions application processing for applicants from over 90 countries.